Twenty-four Lyndon State College Atmospheric Science Department students joined over 200,000 others for the People’s Climate March in Washington, DC. 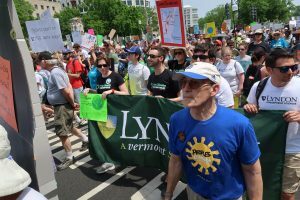 The march began in front of the Capitol shortly after 12:30pm and headed along Pennsylvania Avenue to encircle the White House. 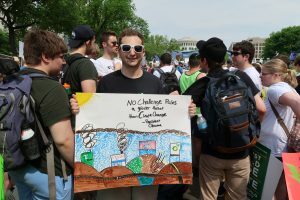 National planning for the People’s Climate March (there were over 370 sister marches across the country) began in 2014 with one goal: pressure world leaders to act on climate change, as a direct response to a distressing reality. For example, 2016 was the hottest year on record, which had surpassed the previous two records set in 2015 and in 2014. While climate change is often talked about as a future problem, it is actually a current problem. 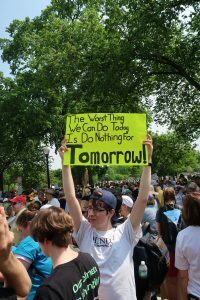 Climate scientists attribute this warming, and associated changes in global weather patterns, directly to human activities such as burning of fossil fuels. 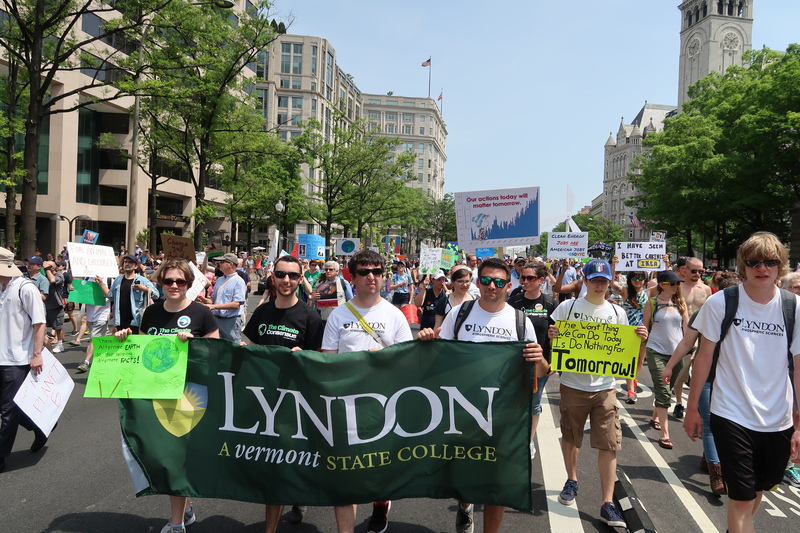 Lyndon’s Department of Atmospheric Sciences is providing students with opportunities to help communicate this important message to the public. 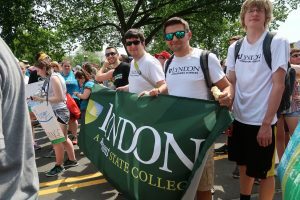 First, a new Climate Change Science degree is starting this fall. 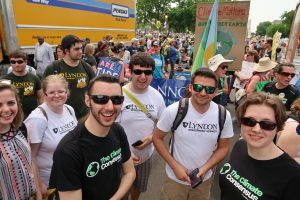 In addition, two ongoing projects, the Lyndon Climate Change Communication group and TheClimateConsensus.com, give students of all ages, as well as scientists and the public, platforms to communicate the science and make a difference.